Welcome to the McGill University Career Planning Service! Whether your daughter or son is a new or returning student, there are many career development services and programs available to your student as they move through their academic program. I invite you to visit our website, in particular, our section for Parents: What We Offer, Career Myths and Realities, What Can You Do, How To Help CaPS. Parents are among the top three influencers in career decision-making, and my hope is that when your student does have questions or concerns about internships, career interests or job search strategies, you may refer them to the wealth of services and resources that exist here at CaPS. The Career Planning Service (CaPS) is McGill’s central Career Centre – assisting all students from their first year in their Bachelor’s degree to Post-Doctoral Fellows. In addition to advising, we offer career discovery programs, speaker events and workshops to help students begin their career exploration and planning. We urge students to begin the career discovery process as early as their first year, and have prepared a Four-Year Plan to help guide them in the choice of activities that can shape their skillsets. We have highlighted the essential resources for new students here: Career Resources for New Students. Gaining experience and skills while at university is important. 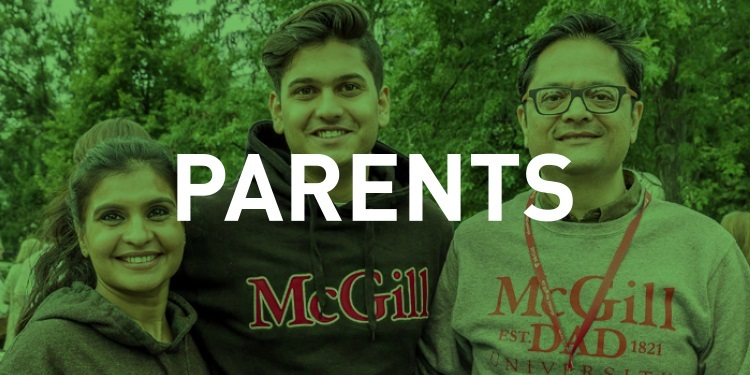 This is why we strongly encourage students to look for experiential learning opportunities and extra-curricular activities- and McGill has many! Whether your student wants to develop or refine their interpersonal skills, communication skills, leadership skills or test their entrepreneurial abilities, we can help them identify opportunities. One of our most popular services is our Job Listing database (myFuture) where students can search for internships, part-time or full-time employment opportunities. With McGill’s reputation, we post opportunities available in Montreal, across Canada and the USA, and abroad. Should you or your company be looking to recruit, please do not hesitate to contact us! We know that not all great opportunities are found through traditional job postings, and this is why we connect students with the world of work, employers, and alumni through career fairs, our Alumni- Mentor program, and a myriad of networking events. Please encourage your student to call us or visit us at either our Downtown or Mac Campus location. We look forward to helping him or her along their career path.